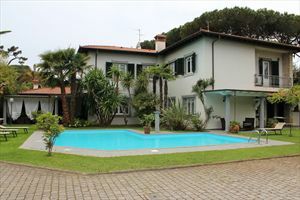 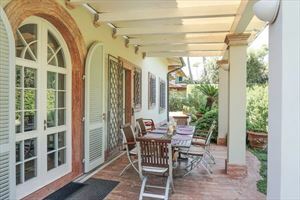 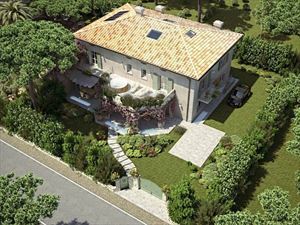 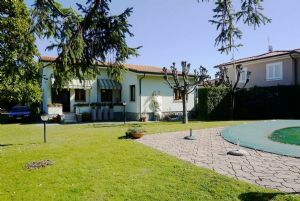 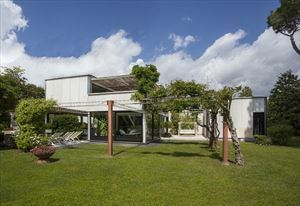 A detached two-storey villa with a swimming pool and a garden (1500 m2) located in one of the most prestigious areas of Forte dei Marmi (Roma Imperiale) at a distance of about 100 meters from the sea. 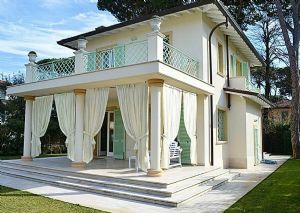 The house is equipped with air conditioning, alarm system, satellite TV, Internet Wi-Fi, automatic gate. 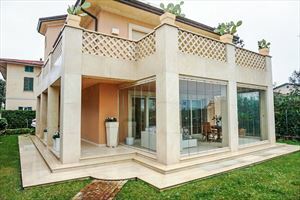 The ground floor comprises a living room, dining room, kitchen, bathroom and a bedroom.